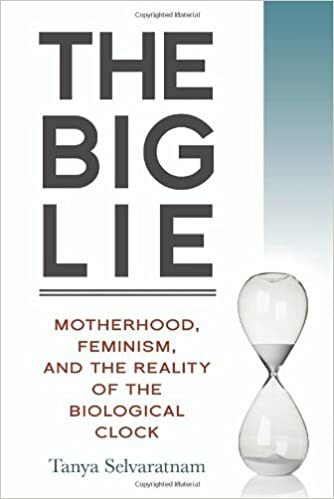 In The Big Lie, Tanya Selvaratnam details how she came to the realization that age isn’t just a number when it comes to fertility. Born in 1971 (11 years after the FDA approved the Pill for contraceptive use and two years before abortion was legalized with Roe v. Wade), Selvaratnam had inherited reproductive freedom, and with it, she argues, the assumption she could wait to get pregnant whenever she felt ready. When her experience revealed that her advanced age might have influenced her inability to deliver to term, the Harvard grad exercised her reproductive right in a new way—acquiring knowledge. The result is a fastidious survey of the baby-making business; a crash course on American healthcare policy, international adoption, and fertility tourism; a personal story threading statistics, reports, articles, and expert advice like beads. Through it all, Selvaratnam is diagnosed with cancer and her marriage ends. As intimate as it is, Selvaratnam’s book also serves as a resource, aimed at opening the door on a global network—and economy—fueled by the desire to have a child. She argues that while some couples hoping to get pregnant seek affordable treatments in parts of Asia and Africa, the next generation of Africans may find themselves facing infertility challenges as more and more couples postpone childbirth. …despite having twenty-nine of the world’s thirty-one high-fertility countries…fertility rates are expected to fall by 2030 and possibly below by 2050, due to the rapid economic growth. According to an article in the Economist in 2009, ‘An emergent African middle class is taking out mortgages and moving into newly built flats—and two children is what they want. When the fertility rate falls below 2.1, the replacement rate (of people being born versus those dying) can cause an imbalance between the young and old generations, resulting in concerns about whether there are enough people to take care of the aging population and enough new workers to keep the economy going. The Big Lie enters the market at a time when conversations around working families reproductive choices have captured the zeitgeist with renewed intensity. Anne-Marie Slaughter’s instantly viral article “Why Women Still Can’t Have It All” and Sheryl Sandberg’s Lean In have influenced the discussion around the challenges women face on the job when planning for a family, and when they become mothers, if they choose to do so. Selvaratnam represents women who have leaned all the way in—and must now balance career demands with the reality of their biological clocks (if they choose to have children) and the exorbitant costs of assisted reproduction, if necessary. Though she focuses solely on getting pregnant, not the costs of taking care of them, high mortality rates and undeveloped or developing economies of the most reproductive nations, her book is uniquely global in perspective and class-aware, expanding the conversation from privileged women at the highest echelons of society to women with less financial resources who endeavor to navigate the expensive morass of the fertility economy. Nana Ekua Brew-Hammond is the author of Powder Necklace. Named among the 39 most promising African writers under 39, her work will be featured in the forthcoming anthology Africa39. She blogs at People Who Write.